Become the Emperor of Cradle of Rome! Welcome back to the city on the seven hills. Rome was the most powerful and beautiful capitals of all time. Write your own history of the Roman Empire in this engaging puzzle game Cradle of Rome. Journey through 100 levels of matching fun and exhilarating process of building the city. Match three or more tiles and experience the new world of Rome from the cradle to the glory. Solve challenging mini-games and draw blueprints to turn your small settlement into the flourishing empire. Discover all-new game modes and earn trophies to prove your multi-faceted skills. Become the Emperor of Cradle of Rome! 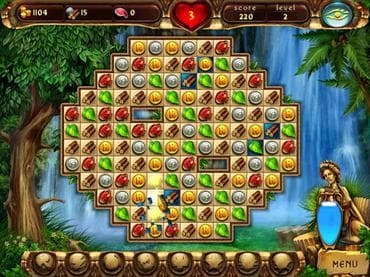 Free Game features: - 100 levels of matching fun; - 5 brilliant epochs to build; - Unlock 2 Extra Modes; - Challenging Blueprint mini-games; - Earn 28 unique Roman trophies. If you have questions about Cradle of Rome game, please contact us using this form.